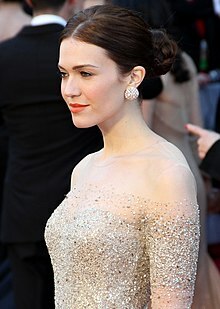 Amanda Leigh Moore, known as Mandy Moore (born April 10, 1984) is an American pop singer-songwriter and actress. She was born in Nashua, New Hampshire and grew up in Longwood, Florida, outside of Orlando. She has been active since the late 1990's. She is known for singles like "I Wanna Be with You" and "Candy". Moore is also a cast member of the 2016 American dramedy series This Is Us. ↑ News, Travel Today (25 January 2015). "Mandy Moore Net Worth To Be Affected By Divorce? Singer Splits From Husband Of Six Years". TravelersToday.